We go through life protected by rules and procedures that are mostly invisible to us. Your airplane flight is safe because of a mass of rules and procedures governing every aspect of the journey. Your food is safe because producers must be certified that they meet certain standards. The same kind of certifications protect the (legal) drugs you take for health reasons. The digital world we all inhabit is, likewise, protected by the certification of data centers as meeting standards for robust operation. The business of broadcast is standards-based and much of its technology is certified for quality. However, such was not the case until 2014 when a set of standards and certification were established for a key part of the broadcast value chain: the teleport. The teleport facility and the sets of technologies that connect ground-based content to contribution and distribution networks in the sky finally became a reality. In that year, the World Teleport Association began certifying the facilities and operating procedures of teleports. Certification provided the first objective and transparent way for teleport operators to validate the quality of their operations and for customers to select vendors that offered the right price-performance level for their needs. Teleport certification is based on an in-depth questionnaire created by a Standards Committee of teleport and satellite executives. The examination covers business continuity, transmission systems, network operations, safety and security. Questions explore how the teleport manages capacity, maintains service levels, ensures security and oversees changes. Full Certification includes a site inspection by a WTA auditor, who also issues a report suggesting ways to improve operations. The end result is certification at one of four quality levels, from Tier 1 at the bottom to Tier 4 at the top. What does it take to become a Tier 4 teleport? This process is not meant to be easy — and it isn’t. Only one out of every five teleports certified by WTA achieves the coveted Tier 4 level. Tier 4 teleports are designed and maintained with remarkable attention to all the factors that ensure high availability and resilience in the face of problems. Certification for teleports is especially important at a time when they have become so much more than uplink sites. Teleports that serve the media and entertainment business are data centers and content hubs. They ingest content, format it, schedule it and play it out. They protect it. They feed content to the sky as well as to distribution networks that drive the OTT business. Teleports have become experts at overcoming the technical and operational problems that can stand in the way of OTT monetization. Their value to media and entertainment grows by the year, and certification provides their customers with the assurance that they can give high-value content the treatment it deserves. What does that assurance look like? More in our next installment. Visit www.worldteleport.org/certification for details. Author Robet Bell is the Executive Director of the World Teleport Association. ATEME, France: a global leader in HEVC, H264, MPEG2 video compression solutions for broadcast, cable, DTH, IPTV and OTT. Dalkom Somalia, Somalia: a leading Somalia based telecom provider established in 2003. 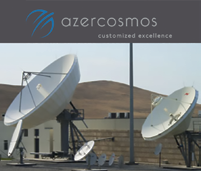 Azyan Telecom, Oman: first licensed VSAT service provider with expertise in VSAT connectivity, network consultancy and support in the Sultanate of Oman with its Earth station in Muscat. 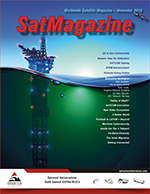 PEKASAT, Czech Republic: specialized in satellite networks. 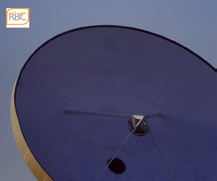 The company has long-lasting experience in the satellite communication and the company collaborates with major satellite network operators around the world in the coordination process of satellite networks. 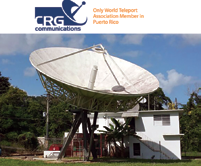 Campo Rico Group, Puerto Rico: Dedicated to creating private networks using broadband technologies. 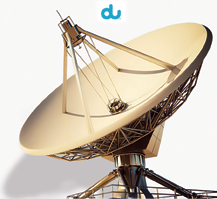 du, UAE: Provides carrier services, a data hub, internet exchange facilities and satellite services for broadcasters. DEV Systemtechnik, Germany: Ka-band ready RF solutions meet all your RF signal management needs. Liquid Telecom, Mauritius: The leading independent data, voice and IP provider in eastern, central and southern Africa. RBC Signals, USA: Provides ground station communication and data services to satellite operators worldwide.